Coles has 818 supermarkets, 911 liquor stores, and 712 Coles Express petrol stations across the country. Sales last year were A$39.4bn (£22bn), of which A$1bn was online. The robotic CFCs are expected to be operational within four years. Each one will have more than 1,000 robots. Coles expects to invest A$130-150 million over the development and construction period of the CFCs. Chief executive Steven Cain said: “Ocado is singularly focused on online grocery shopping and, as a result, has become the best in the world. 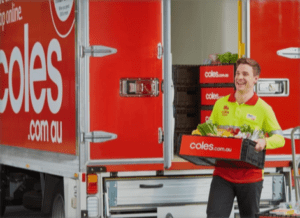 We are delighted to be partnering with them to make life easier for Coles’ customers here in Australia. Ocado’s on-going investment and retail partnerships around the world will help us continue to improve our offer into the future”. Ocado’s partners now include Morrisons, Marks & Spencer, Kroger, Group Casino, Sobeys and ICA, as well as Coles.